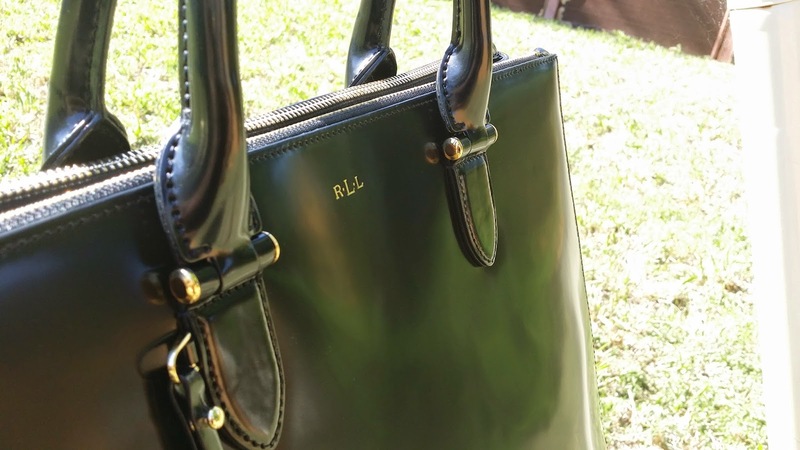 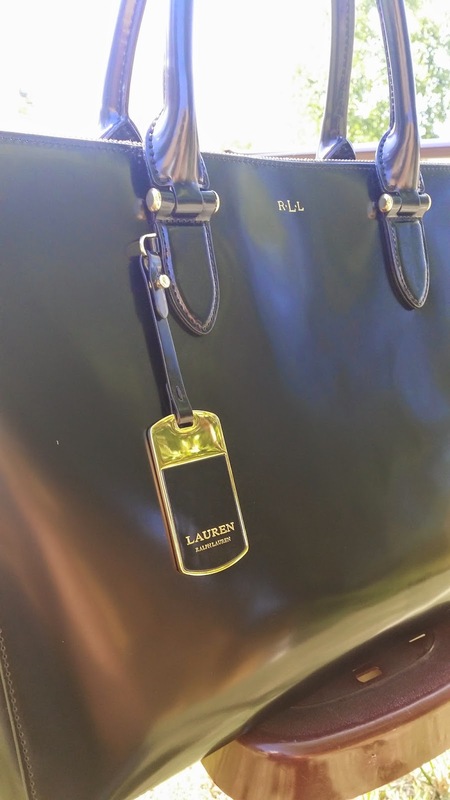 The bag is made of polished black leather and has the R.L.L logo stamped in gold on the front of the bag. 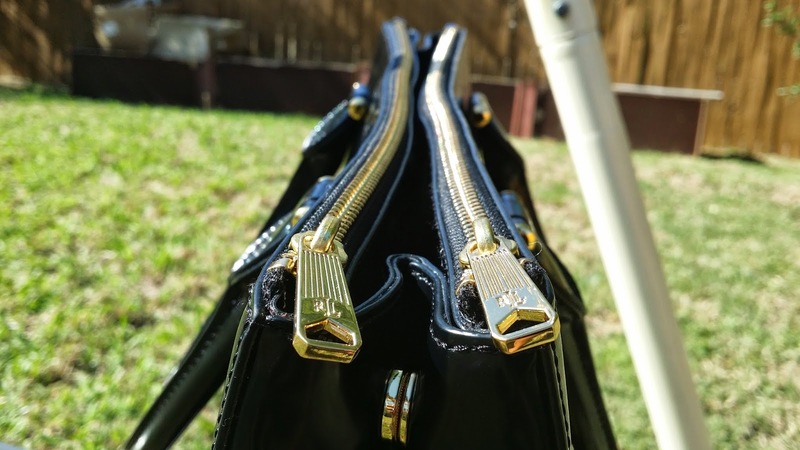 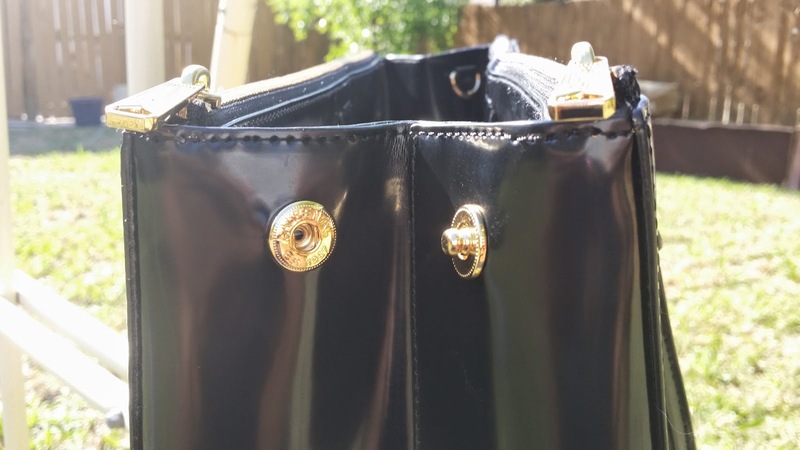 The exterior of the bag features golden hardware, an R.L.L signature logo tag, double top handles, a removable and adjustable shoulder/crossbody strap, snaps on the sides of the bag to expand it for a more roomier and tote-like look and protective metal feet on the bottom. 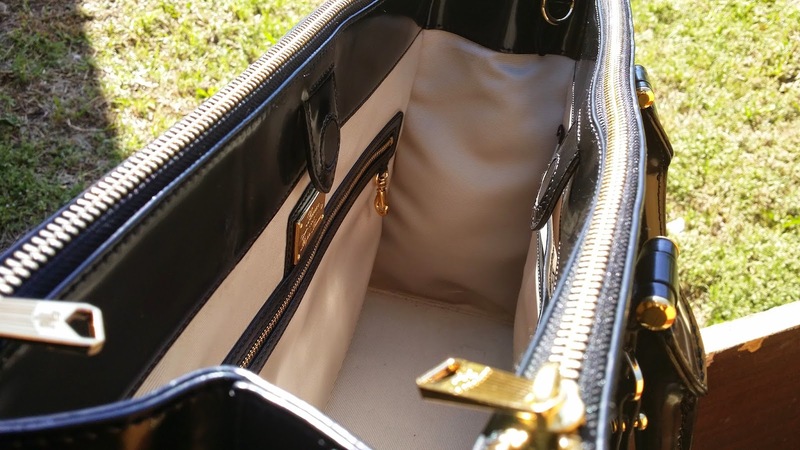 The interior of the bag is fully lined and features one large zip pocket, two slip pockets and one snap pocket (tons of storage room!). 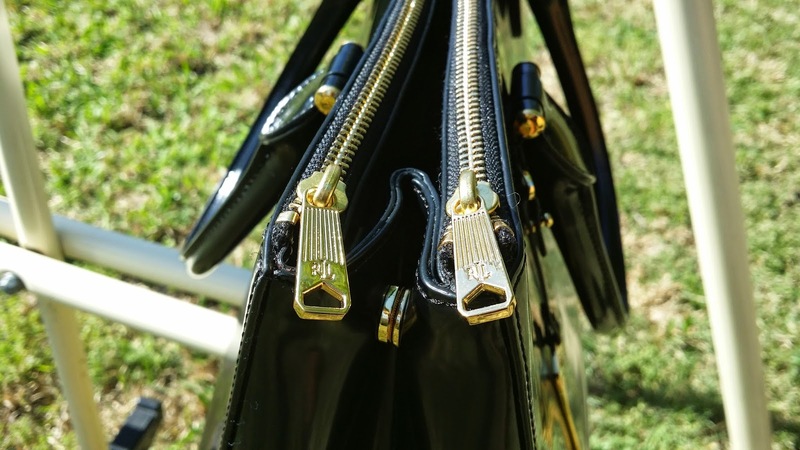 The bag has a magnetic snap closure and two zip closure pockets on the either side of the main compartment.